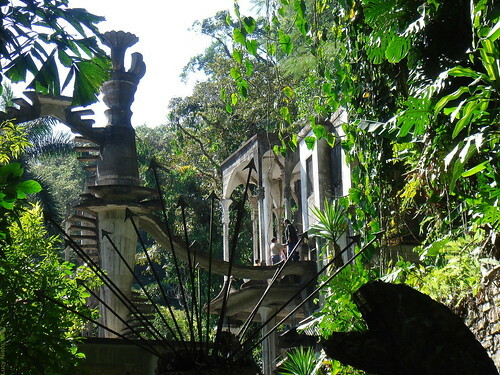 Las Pozas it’s a group of temples, pagodas, bridges, sculptures and spiral starcaises that are in the middle of the jungle. 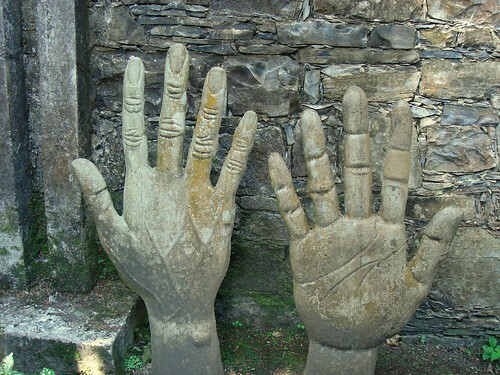 An oneiric universe that mixes the Gothic, the Egyptian and the Mesopotamian art. 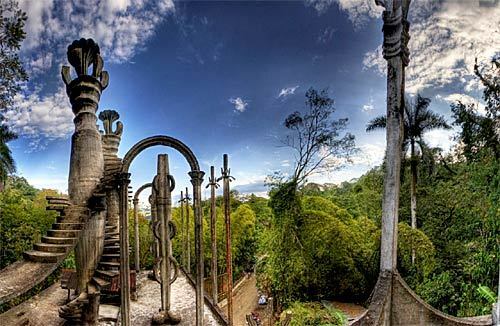 These aren’t ancient structures, they are a result of the extravagant mind of Edward James (1907 – 1984), an english millionaire. Departed from aristocratic conventions, he always searched the company of artists and poets. He was a great lover of the surrealist art; in fact, he possessed one of the biggers collections in the world. 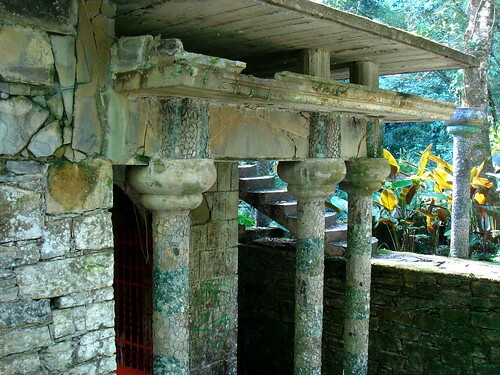 In 1945, his adventurous spirit took him to Xilitla. 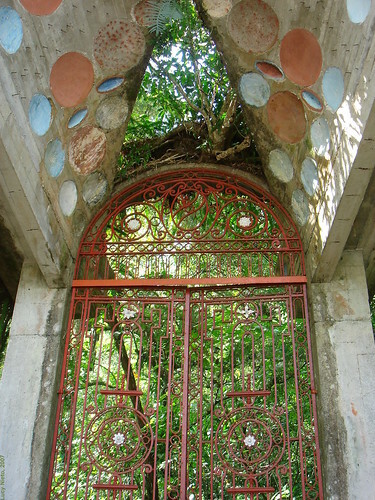 One day he was taking a bath in Las Pozas, an idillic place surrounded by falls, an a big group of butterflies appeared scrambling around. James interpreted this like a signal and decided that place would be perfect for his dream city. 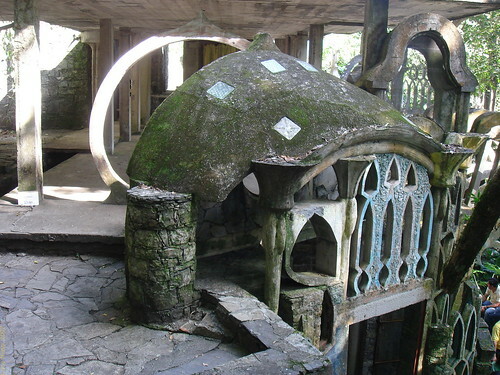 From then on, with the help of his close friend Plutarco Gastelum an the local artisans, he started to turn Las Pozas in a surrealistic paradise. 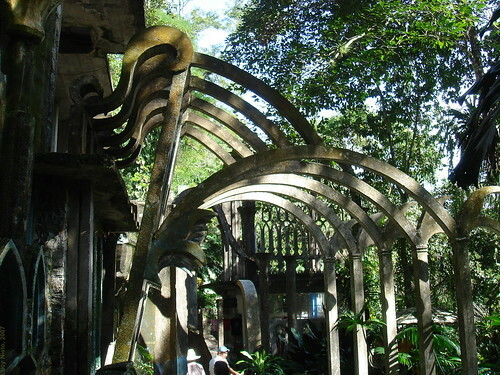 Probably if Tolkien had seen Las Pozas, he could have imagined he was in one of his Elven cities. 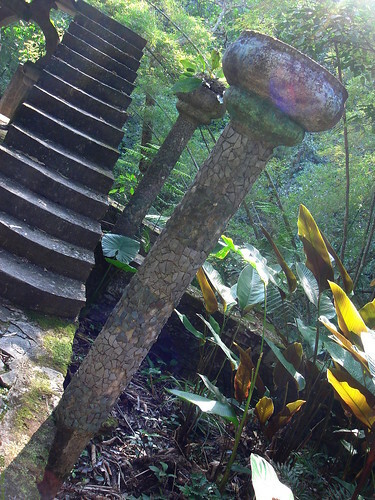 For future visitors: Las Pozas is a few kilometers from Xilitla, a town were you can find a very special accommodation called “El Castillo”. The house was designed and built to be Edward James home. It has 8 rooms, and offers accommodation from 60 to 110 dollars x room. 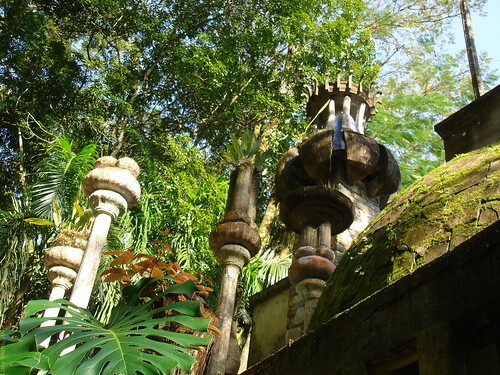 http://www.junglegossip.com/castillo.html – En este link se pueden consultar los datos de contacto de “El Castillo”.